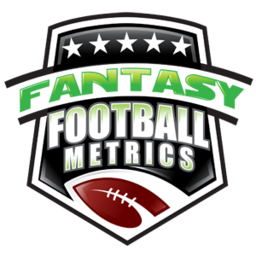 -- Jerick McKinnon (14-50-1, 6-72-0/10) had a great game but I guarantee people still don’t believe in him... current non-FFM owners, that is. He can be had in smartly constructed deals for him as a target with RB2 valuations. It will take a multi-player deal and trading some hot (soon to be not) thing to get him… if you want him. He’s the lead guy even though he doesn’t start, and that spooks a lot of people. -- DeShone Kizer starts… and then Duke Johnson (6-33-0, 4-10-0/5) is a PPR RB1 because Kizer cannot complete passes downfield. Everything is designed screens for him because he’s so incompetent. Duke’s numbers are PPR RB1 with Kizer in Kizer’s last five starts. -- Heavy BYE week issues again this week… six teams off. Tyrod Taylor (20-27 for 165 yards, 6-1-1) is a legit fill-in option facing the Jets. The Bills are 5-2 and every week is a playoff-like atmosphere/must win for them… and the Jets are rolling over. Tyrod will run/throw whatever he needs to do. Coming into this week the Jets have allowed a league-high 15 TD passes. -- Amari Cooper (5-48-0/10) didn’t have much of a follow up from his TNF explosion last week. He was really ignored most of the game and got some stuff late in the beatdown. The reality is Cooper getting ignored in this offense all season. Last week versus KC was the anomaly. — Bills DB Trae Elston (11 tackles, 1 PD) got heavy playing time here and led the team in tackles in his first heavy action. He’s a scrappy player who had a nice preseason, but the Bills have cut him and brought him back on and off. I don’t think this double-digit tackle game is announcing a possible move to becoming a starter or an IDP impact guy. -- We noticed the trend of Jack Doyle (12-121-1/14) becoming Jacoby Brissett’s favorite target coming into this game but I had no idea a game like this was at hand. Doyle now becomes another entrant into the every-week TE1 discussions. 9.8 targets per game for Doyle the past 4 games. -- Every week it’s the same thing: Joe Mixon (11-18-0, 3-91-0/3) has nowhere to run and once he tries to get some continuity going… out he comes for Gio or Hill. If the Bengals cannot run on the Colts, then this is definitely a Bengals O-Line issue. Mixon will battle this every week, trying to get screen passes to counterbalance it for FF-output. -- High-pick rookie John Ross (0-0-0/1) returns from injury and sees one target, and is pretty much ignored. Late-pick WR Josh Malone (2-35-1/3) did get a little extra work, however. It doesn’t appear Marvin Lewis was any too thrilled/anxious to get Ross involved for his wobbly offense. I have no interest in Josh Malone and very little in Ross at this stage. -- Tom Brady’s (32-47 for 333 yards, 1 TD/0 INT) TD passes in games the past five weeks: 2-1-2-2-1. He’s still great but he’s starting to misfire passes and make minor mistakes. The decline is starting to show. A fall from “the best” to “pretty good/great” is happening for fantasy. I wouldn’t dump him, but I wouldn’t rest easy. He’s on a BYE next week, but then in Week 10 he faces Denver… not a great two weeks coming up. -- Tyrell Williams (1-24-0/6) likely played himself out of the picture for FF the rest of 2017. He had a great TD catch in traffic in this game but was ruled to have stepped out of bounds and came back in prior to the catch. He later dropped two critical passes in the 4th-quarter… but to be fair it was raining/pretty sloppy. Tyrell was already getting ignored by his offense, and with a chance to shine here… he blew it. -- I suspect when we see the snap count totals, Jatavis Brown (2 tackles) didn’t play them all… or much more than half. It looks like he’s been demoted in some way… inexplicable. From leading the NFL in tackles after the first few weeks, and the best defender on the team… to benched. Unreal. -- Watching Mitchell Trubisky this season is like watching Jared Goff last season. I know they’re great QB prospects so why do they look so awful? It’s the coach and the O-C. The Bears offensive game plan is ridiculous. Trubisky is locked in a cage and when he is freed he has no one to throw to… all WRs who should be on NFL waivers or practice squads… which is very similar to Jared Goff 2016. Trubisky has little hope this season for fantasy. You have to wait for the new head coach in 2018. -- Bears DB Adrian Amos (6 tackles, 1 FF, 2 TFLs) is racking up IDP numbers the past five games – 7.2 tackles, 0.67 TFLs, 0.50 PDs with a 90-yard INT TD return. One of the top DBs in fantasy right now. -- Ted Ginn (2-68-0/4) has erratic targeting, but it doesn’t take much for him to get yardage. He’s averaging 91.7 yards over his last three games, with no game under 66 yards in that span. He’s a WR2-3 every week depending upon matchup. -- DL Grady Jarrett (7 tackles, 0.5 sacks, 3 TFLs) is becoming a star. 5.7 tackles, 1.0 TFLs per game the past five weeks. “Best in class” type numbers among DLs. -- Julio Jones (3-74-0/6) with another barnburner… man, is his stock falling. Garbage-time saved him last week vs. NE, other than that he’s been a WR3 this season. -- I keep saying it. Austin Seferian-Jenkins (5-28-0/5) isn’t showing me anything during this hot stretch of play. I mean, he’ll get enough work to be a fringe TE1 in PPR on decent targeting… but I see no upside. It’s like his feet are in cement. Less than 50 yards in every game this season, four of six games under 35 yards. He’s fine if you need him but don’t be afraid to trade him off as a sweetener if some else loves him in a multiplayer deal. -- George Kittle (2-22-0/4) was supposed to be a trusted guy, a college teammate of C.J. Beathard, but they’ve barely hooked up for catches… in two blowout games with plenty of garbage-time. No TE1 emerging here. -- Marquise Goodwin (0-0-0/3) was a hot topic last week, but a late-in-week injury issue, a rainy game, and a blowout… and Goodwin/the coaches packed it in smartly with him. He’s not a must-keep WR but don’t totally write him off because this week turned on him circumstantially. -- Catches for Alshon Jeffrey (2-62-1/8) in games this season: 3-7-4-3-3-4-2-2 (4.0 per game). Jeffrey has caught just 45.1% of his targets this season, which is terrible, for just 59.4 yards per game this season. He just isn’t a top guy among WRs anymore. He’s a low-end WR2 at best. -- Cam Newton (18-32 for 154 yards. 1 TD/1 INT, 11-44-0) has to do better as a passer versus the likes of TB, who was missing their top CB. Even with the amped up running by Cam he’s not getting any pass game work to support it for fantasy scoring. 2 TDs/6 INTs his last three games and two of them against bottom of the league pass defenses (PHI and TB). -- Devin Funchess (2-11-0/6) is turning back into a pumpkin once defenses saw him getting a few more targets after Greg Olsen got hurt. Over the past three games, Funchess is averaging 3.0 rec. (7.7 targets), 29.3 yards, 0.0 TDs per game. -- Since coming back from early season injury, Kwon Alexander (10 tackles, 2 TFLs) is averaging 9.5 tackles, 1.0 TFLs per game in two games since his return. He’s arguably the best IDP LB in the business. -- We’re going to wake up after the stats close this week and a new reality will have dawned: the rise of the dual-threat/will run-scramble as needed QB has happened. And I didn’t see it coming. I fought it. The Top 5 fantasy QBs in PPG will likely be Watson-Wilson-Prescott-Smith-Wentz. Names not able to hang in with the top 5 (for fantasy)? The guys who don’t run as much: Brady-Brees-Cousins-Ryan-Carr. -- Once Seattle figured out that they cannot run the ball (16 carries for 5 yards from RBs in this game), they unleashed Russell Wilson (26-41 for 452 yards, 4 TDs/1 INT) and every time they do... magic happens. This same thing happened in the second half of 2015… and Wilson was a fantasy god. Wilson is one of the true QB greats, shackled by a terrible O-C. When he’s forced to be unshackled Wilson is amazing. Wilson has 295 or more passing yards in a game in four of his last five games. This won’t stop because Seattle cannot run the ball at all. -- If teams don’t copy what Houston is doing with Deshaun Watson they’re insane. A pure spread offense and defenses and D-Cs have no answers. Watson has all day to throw for fear of his running and he is 110% comfortable in the system. I think there is a risk of Watson getting figured out ahead, and being made to stay in the pocket more, like Seattle did early when they started picking him off and rattling him early and mid-game, but eventually Seattle broke and Watson started piling it on late. I’m not guessing when Watson tails off… I’ll ride this until I see clear signs (if there are clear signs). -- Jordan Reed (1-5-0/1) left the game early because of course he did. Start taking stock in Vernon Davis (2-20-0/4) if needed because Davis could push low-end TE1 numbers on and off if Reed is out. And start assuming Jordan Reed is not going to help you this season… he can’t stay healthy. Make sure you have other plans, and I wouldn’t put stock in ‘buying low’ on him. Those in dynasty, it’s time to consider moving on via trade once Reed is back playing to pump his value a bit because Kirk Cousins won’t be here next year if Reed is even healthy in 2018. Let someone “steal” from you if you have a solid enough other TE option. -- The combination of Josh Doctson and Terrelle Pryor had 1 catch for 1 yard on 4 targets. There is no #1 WR in Washington except Chris Thompson (4-18-0, 8-76-0/8) and he’s an RB1 in PPR for the ROS. -- Dallas DL David Irving (4 tackles, 2.0 sacks, 1 PD) is smoking hot in IDP – he’s been back for three games this season, the past three weeks of output: 4.0 tackles, 1.67 sacks, 1.0 PDs per game). That’s “best in class” numbers by far. Last season, Irving had 4.0 sacks total… this season, in 3 games, 5.0 sacks for the emerging Dallas defense. -- Big night for JuJu Smith-Schuster (6-189-1/9). People are going to lose their minds for him on waivers this week… ESPECIALLY if/when Martavis Bryant is traded this week. I would say this/re-remind you… the “other guy” WR tends to have a hot game followed by several cold ones. Remember Eli Rogers was going to be great last year? Now, I get JuJu is better… it’s just that the Steelers passing game is getting lower-volume, and most of that volume is reserved for Antonio Brown. JuJu is a solid WR3 option week-to-week. In dynasty, I’d sell JuJu this week. His value may never be hotter. You could sell him as a WR1.5. Remember, Ben is likely gone next year… and current Ben isn’t all that great anyway. -- Assuming Eric Ebron is traded to some delusional team (Hello Ravens, Jets, Bengals, Dolphins, Saints, Raiders), Darren Fells (1-12-0/3) becomes a sleeper TE1 in nonPPR. The sure-fire starter with 3 TDs in his last 3 games. Rookie TE Michael Roberts becomes a deep sleeper, and more interesting for 2018. -- I’m just saying… Dwayne Washington (6-12-0, 1-4-0/1) played a lot of key snaps in this game. Ameer Abdullah (11-27-0, 3-11-0/3) continues to fail… the door is open a crack for Washington to stick his foot in there. He looks a lot better and more confident this year than 2016 (but not as good as his 2016 preseason). You’ll see his name on the “Ahead of the Curve” pickup list for those in deeper leagues. GB – Two weeks plus a day (plays MNF) for Brett Hundley to prepare for Detroit. What are the odds Mike McCarthy scrapped his offense and put together a spread for Hundley like Houston did for Deshaun Watson? Answer… 0.1%. If they did… you’ll see Hundley in a different light next week. I’d bet against it. TEN – What are the odds Mike Mularkey looked at his putrid power running game and re-realized he has the king of the spread offense, and he scraps his offense and employs a full spread for Marcus Mariota like Houston has for Watson? 0.1%. Chip Kelly will when he’s the next head coach of Tennessee in 2018. LAR – What are the odds Jared Goff matters in fantasy football ahead as a “next Brady” in a sea of mobile, spread QBs? We’re about to find over the next few weeks whether Goff takes his output to another level or he’s just “efficient.” I think Goff is knocking on the door, but when that door opens…will current mobile QBs and mobile QBs to come from college run through that door faster than Goff? Dynasty owners with Goff, you need to have a stake in a talented dual-threat guy as well. NYG – Sterling Shepard is back this week and I’m betting Eli Manning leans heavy on him with 10+ targets per game. It will be the Evan Engram and Sterling Shepard show. ARI – Any David Johnson return hopes have a lot tied to Arizona’s Week 9 game vs. SF. A win for the Cards and they are 4-4 and in the playoff hunt and about to face hated-rival Seattle Week 10. If the Rams and Seahawks both lose in Week 9… then the Week 10 ARI-SEA game has huge implications for Arizona to somehow scramble to a first-place tie with a miracle win. The notion Arizona could do all this and be 5-4 after Week 10, and tied with LAR and SEA… it’s the longest of long shots. It starts, however, with an Arizona must win vs. SF… a game I bet they lose. JAX – Next five weeks of QBs for the JAX DST to face: Dalton-Rivers-Kizer-Stanton-Brissett. It’s going to be a sack fest. You think it’s crazy trading for the Jags DST this week? It is not. However, suddenly Weeks 14-15 look a touch darker with SEA-HOU… suddenly improving, open offenses. We’ll see how the dual-threat QBs handle a defense like Jacksonville… or vice-versa.